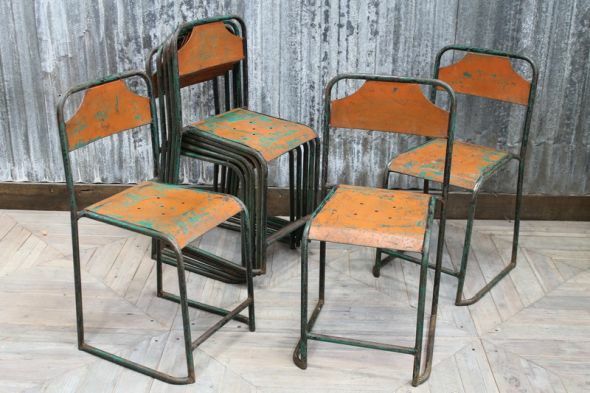 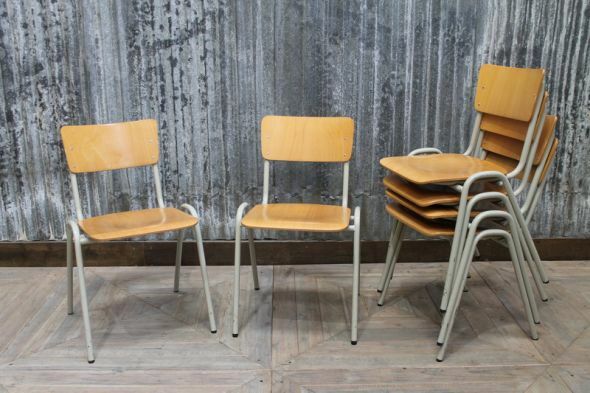 These black stacking chairs are a great addition to our collection of vintage seating. 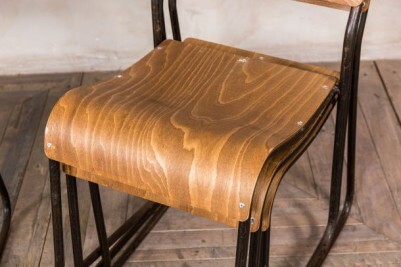 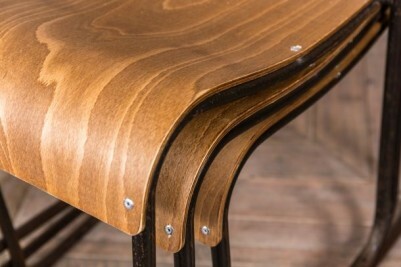 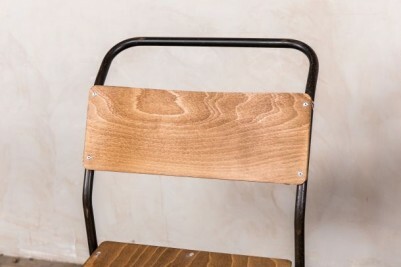 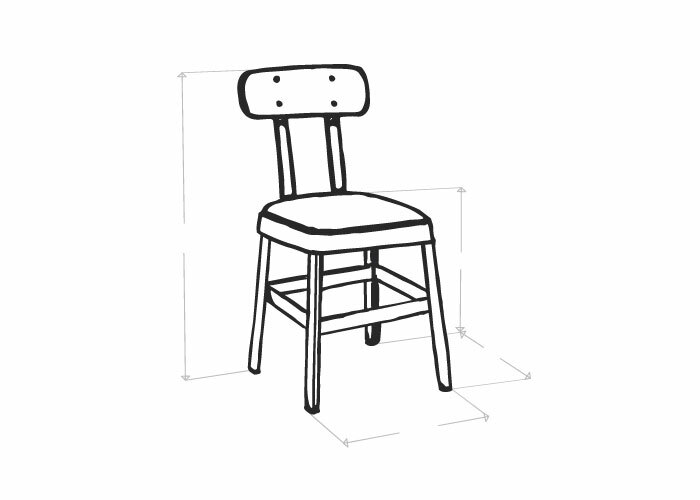 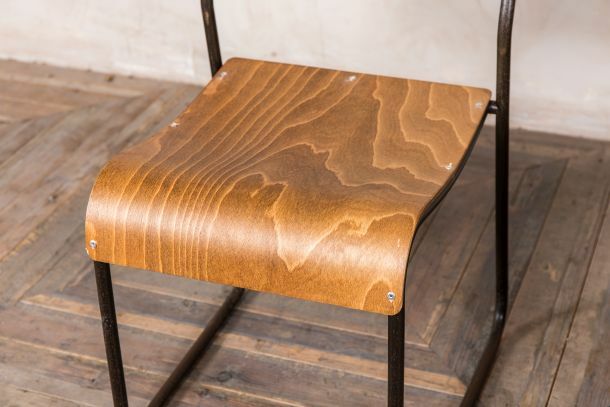 Each chair features a hooked metal frame and steam-bent plywood seat and back rest. 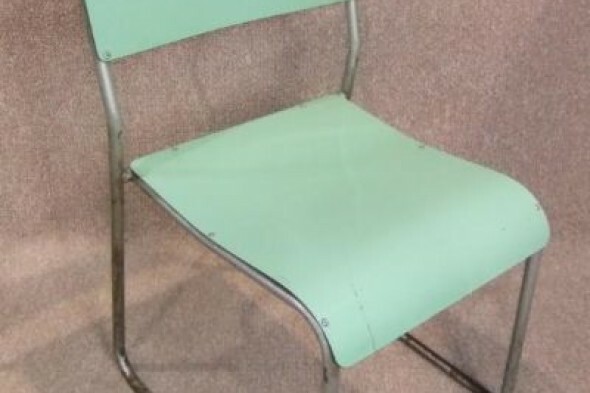 The frame is painted black and over the years has developed a more industrial appearance due to the loss of some paint. 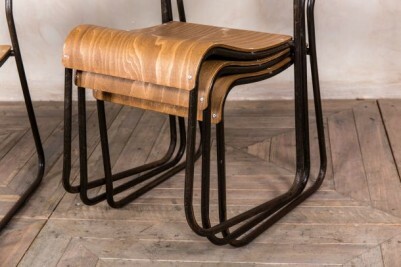 The chairs are very versatile and can be stacked when not in use or to make floor cleaning easier. 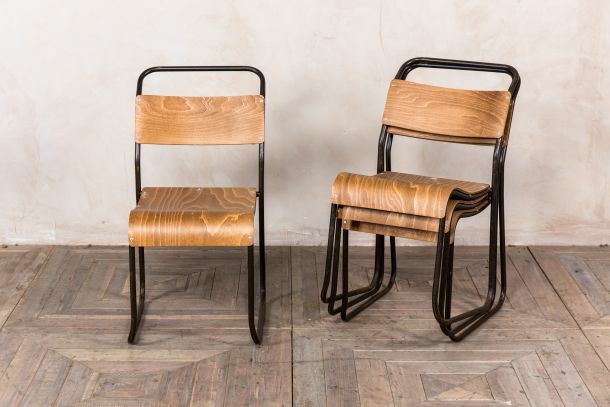 Industrial or vintage inspired cafes, restaurants and bars could make use of these quirky chairs as they add plenty of vintage charm. As the chairs are original vintage items, they do show some signs of wear and tear but we feel that this only adds to their character.